Get a taste of the comfiest and most stylish everyday footwear at Res Toe Run's biggesst END OF SEASON SALE happening until July 31, 2017! 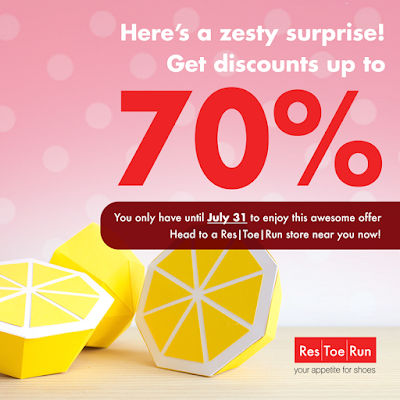 Get discounts of up to 70% OFF on selected footwear brands and styles. Head over to your favoriet Res Toe Run stores nationwide! Find Res Toe Run's store locations HERE!